This is a preview from Noah Sow's audio play "RADIO META". It airs on radio stations and in cinemas. All voices by Noah Sow. Seriously. Das ganze Hörspiel in voller Länge ist als Stream-on-Demand dort zu hören: noahsow.podbean.com/e/radio-meta-ho…quality-stream/ Or download the music tracks on bandcamp: noiseaux.bandcamp.com/album/songs-from-radio-meta Alle Stimmen sind von Noah Sow selbst gesungen und gesprochen. Doch, wirklich. 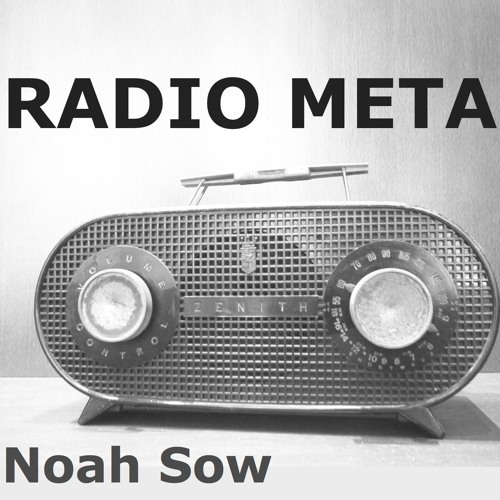 Info: www.noahsow.de/RadioMeta © Noah Sow, 2015 all rights reserved All content written, produced AND PERFORMED by Noah Sow In the acoustic audio sculpture RADIO META, Noah Sow broadcasts four archetypical radio formats. Content readily offers its meta messages thereby unclosing additional ways of reception, enjoyment, analysis.